1) PENNYS DEANRIDGE Without a win in the competition thus far, Rosemary Price`s canny Pennys Deanridge has shown clever track craft to continually find a run in nabbing qualifying places. He may start as big as 33/1 tonight but does hold claims of a place at least as he can hug the rails for a clear run on the inside. He will need trouble for those with more early pace but should he hit the front at any stage, he will stay there! 2) IVY HILL PRINCE Just a sole win in the opening round for Noel Hehir`s gutsy Ivy Hill Prince who has shown some great battling qualities throughout the stake. He can trap must faster than he did in his semi-final and the rails pitch is his for the taking now but with that said he must match his trap 3 rival to the bend and turn first to win. That however is possible and with 28.41 to his name already he would prove hard to catch at 8/1. 5) GREEN PRINCE Liam Dowling`s superbly consistent Green Prince hardly saw another dog at Limerick before trap 3 inflicted his only defeat in the stake last week. To rule him out now solely on that performance would be folly as he can split much faster than he did on that occasion but he needs to now with so much early pace abound. A return to his quarter-final win form gives him more than a sporting chance to lead into the back-straight and with 28.41 to his name, he could very well stick it out and is massive value at 7/1. 6) BOYLESPORTS HERO (M) There has been many times throughout the stake where a lack of breaking prowess could have brought trouble for Brendan Matthew`s prodigious Boylesports Hero but any threat of such problems have been brushed aside in dismissive fashion by a supremely talented racer with immense raw speed and tipping him for defeat tonight has proved too hard to justify. There are warnings for those willing to take the plunge at likely odds of 11/8 however. He has not matched the splits of the four runners on his inside so he will need to rely on his explosive early pace for a run, he has once occupied trap 6 in his career and was not well away and if he does not pass some rivals on the run up, which will prove very difficult, he may find something move into his path at the crown of the bends. An awesome display when coming from behind trap 4 last week to record 28.35 makes him a worthy favourite though and a clear run can see him hit the front before the third bend. Firstly, Rosemary Price might ask “has the Penny not dropped that there is six runners in tonight`s final” and rightly so because although her Pennys Deanridge would appear to be the forgotten dog in the market at 33/1 he has what any dog needs to pull off a final coup, he has the best of the draw! He also has a canny ability to put himself in the right place at crucial stages which has earned him a deserved trap 1 berth tonight. Should his superior early paced rivals become entangled in the early exchanges this big outsider could find himself in a challenging position off the second bend and with 28.66 to his name a big shock is not impossible. Excepting Pennys Deanridge, this final is all about early pace with the remaining contenders all capable of flying to the third bend. They have claimed eleven heat wins between them and all five have clocked 28.45 or better in the stake. Without a confirmed stayer among them the race may be as simple as whatever leads upon turning into the fourth bend will win. Predicting that however becomes a little complicated as the splits for our favourite Boylesports Hero can not be readily dismissed by his many admirers. That said, once into his stride he moves faster to the third bend than his rivals tonight so likely racing room on the run to the first bend would seem to justify his favourite tag. A middle seed, all evidence suggests that he will maintain a straight line upon leaving trap 6 and should not meet any stumbling blocks in the early exchanges with five inside seeds to his left. 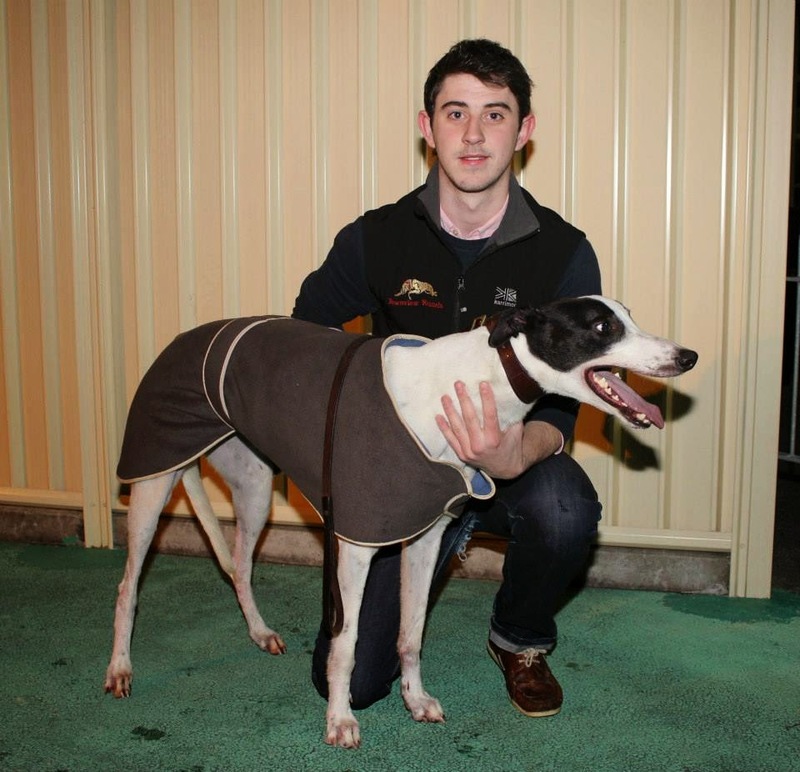 Provided he is forward enough to avoid any repercussions of crowding on his inside at the turn his trainer, coursing sage Brendan Matthews, looks set for a big track success. There is a myriad of possible scenarios from the middle runners but with the pressure on last week, Crokers Champ produced a flying start to lead both Green Prince and Ivy Hill Prince home in an impressive win. It is hard to oppose him in the race to the bend tonight on that evidence but he will need to be paw perfect to do so. Should he hold off the inevitable big challengers on the back-straight his steely determination displayed in his two heat wins could see him home in front. Unbeaten in the event prior to the afore mentioned semi-final, Green Prince may hold the key to this race if he can reproduce his early round splits as he is almost assured racing room with Vans Viking much more likely to seek the rails than move right. Should the Dowling runner turn first and repeat his 28.41 quarter-final effort, his current odds of 7/1 would look generous in the extreme. The bare figures of Vans Viking`s two recent defeats may leave the uninitiated onlookers scratching their heads as to how he can be 9/4 second choice in the market having been beaten on merit by both Crokers Champ and Boylesports Hero but even accounting for some ante-post liabilities the bookies can not be accused of being miserly with his price because the Graham Holland powerhouse has big claims. Not alone could he lead on the run to the bend he may not be completely inconvenienced by Crokers Champ blasting from trap 3 as a possible slipstream behind him could set up a big challenge off the second turn. Trap 1 is ideal for Pennys Deanridge but Noel Hehir must surely believe that the rails pitch, often so crucial in early paced contests, is at the mercy of his Ivy Hill Prince as he can outpace the red jacket from trap 2. He has clocked 28.41 in a quarter-final defeat and also has a sizzling 1.15 split at Limerick on his card. A repeat of his best form from what is clearly a most favourable draw gives him solid claims. 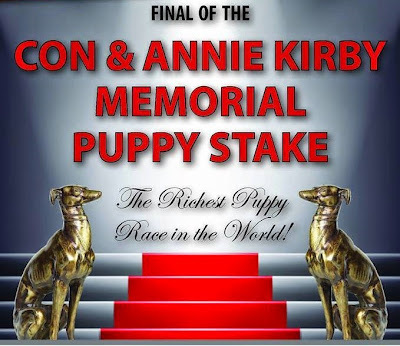 Whatever your fancy, enjoy what is sure to be a truly memorable conclusion to what has been one of the highest class puppy stakes ever staged as we may have to wait a long time to experience it`s like again….2015 will have a lot to live up to! Classic Kirby 2014 is Rich in every sense! 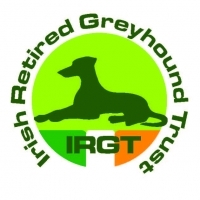 Following a highly successful inaugural Con & Annie Kirby Memorial Puppy Stake twelve months ago, the competition billed as “the richest puppy event in the world” returned to Limerick Greyhound Stadium in 2014, promising five action packed nights of all that the sport of greyhound racing has to offer. The continued generosity of Noreen & JP McManus through their sponsorship of the €160,000 prizefund ensures rich rewards for those who make the final stages and the novel initiative to include a €20,000 prize for GAA clubs in the county complimented the event in a most suitable fashion last year and is again illuminating this current renewal with the marriage of sports bringing young and old together for a truly memorable and colourful sporting occasion. In racing terms the competition has been a revelation with some phenomenal young talent converging to do battle from the highest profile kennels in the sport. With stars being born in unraced events throughout the country this event now sees a graduation for the next champions of the sport just as it did last year with current Irish Derby Champion, Slippery Robert, exiting the Con & Annie Kirby Memorial at semi-final stage just five months in advance of that Derby glory. 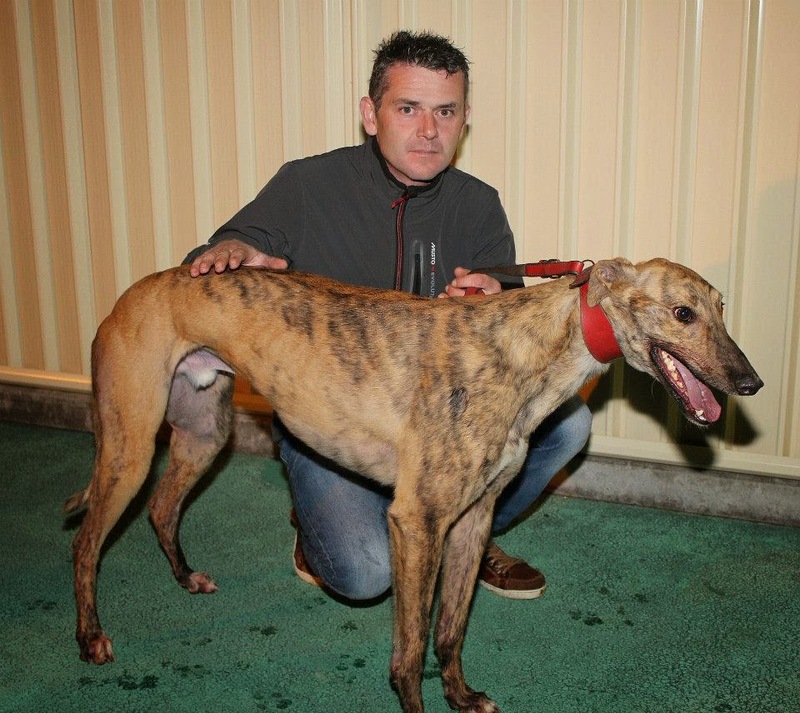 A brilliant winner last year was the Owen McKenna trained Roxholme Bully who excited the Greyhound community with his breath-taking performances on the road to victory. He re-appeared in Limerick`s annual classic, The Irish St Leger, last autumn but unfortunately injury struck in the semi-final when a short priced favourite to confirm his superstar status but a glittering career at stud now awaits our current title holder. 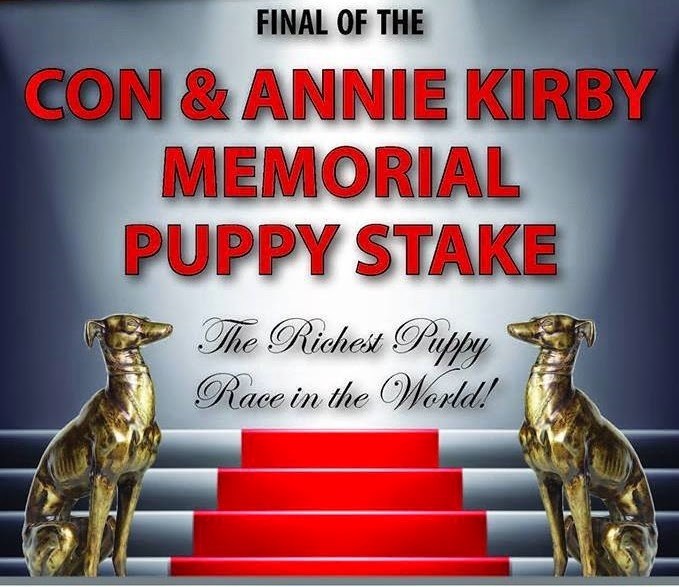 To call the Con & Annie Kirby Memorial Puppy Stake a Classic in just it`s second year would be a slight stretch but a palpable air of expectancy in advance of our opening heats coupled with stunning displays of racing excellence throughout the first round of action confirms that this event, although in it`s infancy, bears all the hallmarks of a Greyhound Racing Classic. Any concerns that the under subscribed entry of 66 runners may see a lack of depth as regards quality in the stake quickly dissipated with each heat as we witnessed some wonderful performances from the best youngsters in the country. Patrons barely had time to get settled in their seats to see Paul Hennessy`s Jaytee Seville set the competition alight in heat 1. 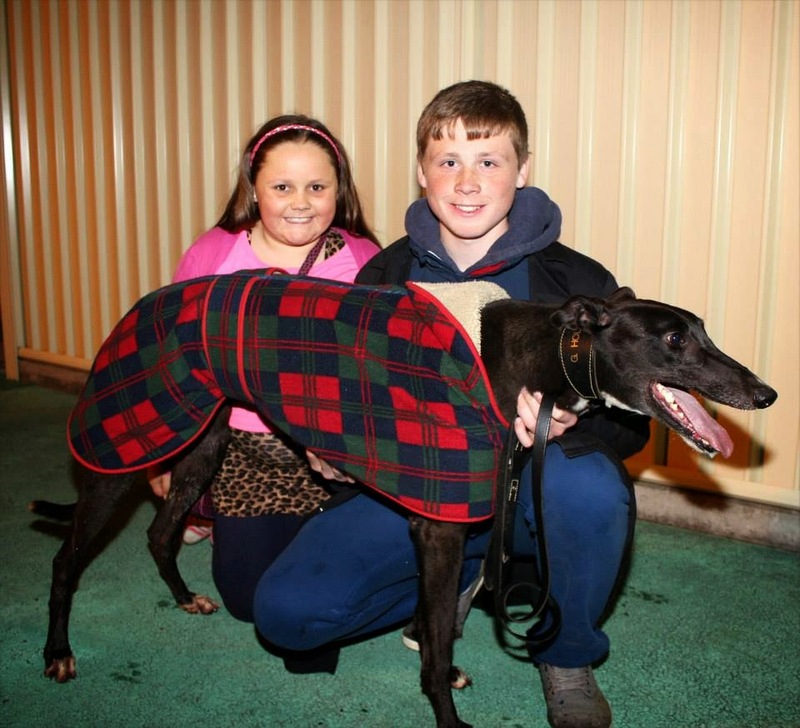 He showed phenomenal pace from the second bend to overhaul Sidarian Blitz at the home bends in a sizzling 28.37. The honour of being fastest on the opening night went to Anna Gleeson`s Redwood Mick when he claimed victory in heat 4 with a dominant display in 28.35. 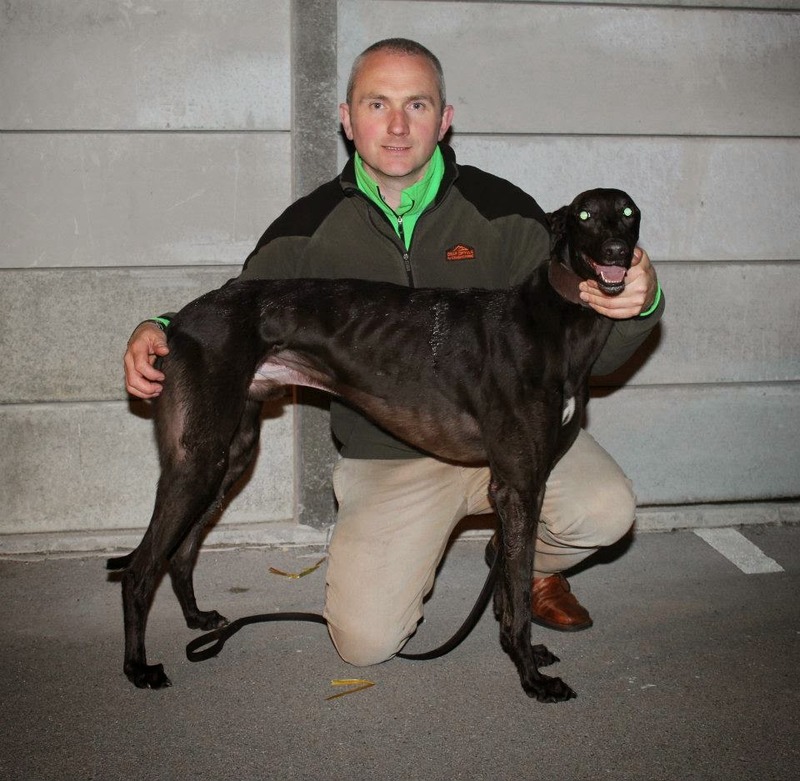 Vying for favouritism prior to round 1 were Deanridge Pennys and Vans Viking with the latter fully justifying the confidence when he made a very pleasing Limerick debut to remain unbeaten in his career, clocking 28.50. 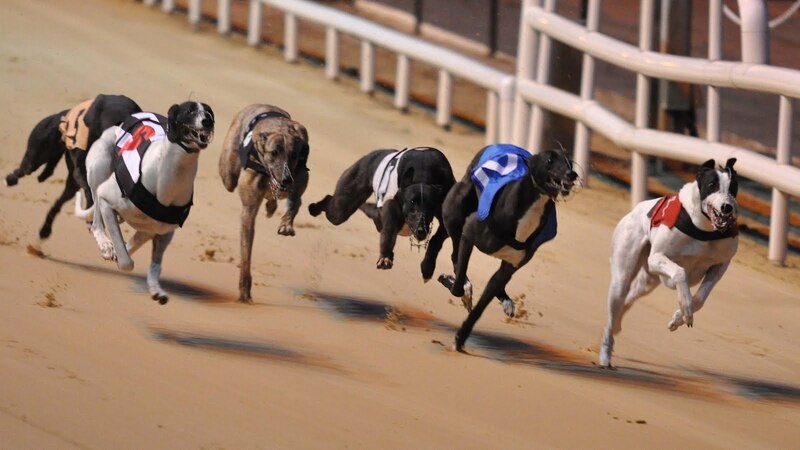 Deanridge Pennys suffered defeat in the opening round but remained just 6/1 in the outright market with improvement expected after chasing home Ivy Hill Prince at a deficit of one and a half lengths in 28.77. 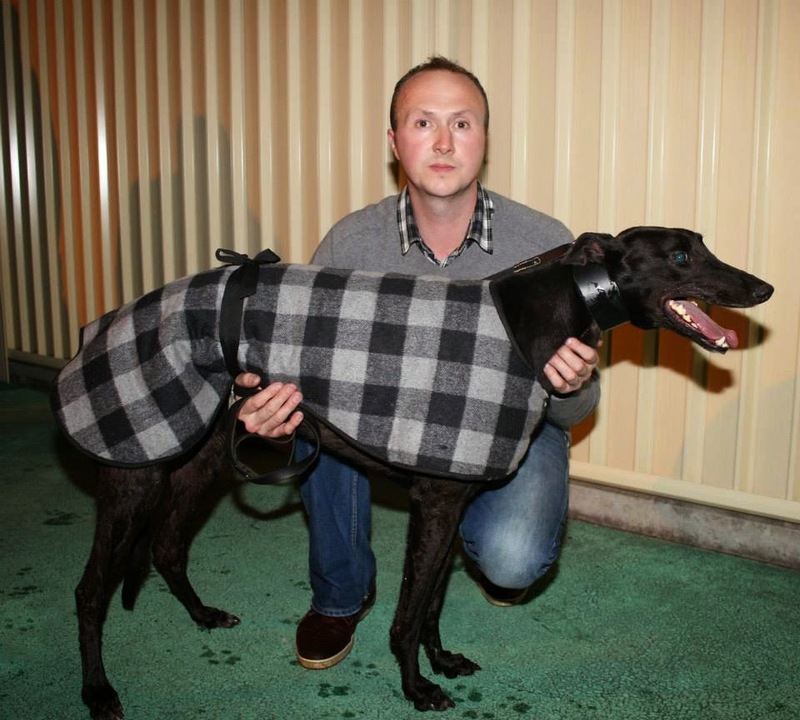 Other highly impressive winners from round 1 were Jetson, who displayed a powerful galloping style from the second bend when clocking 28.62, a racing style also displayed by Bubbly Gold when very eye-catching in claiming heat 9 in 28.54. Green Prince scored a dominant early paced win when clocking 28.53 for trainer Liam Dowling who appeared to have a very strong team for the competition, even at this early stage. Benefiting for his first round outing, the Liam Dowling trained Vulturi turned in the most impressive performance of the heats when reversing the form of his round 1 defeat to Boylesports Hero in emphatic style. He overturned a three length deficit on the back-straight, drawing right away for a four length victory in an almost incredulous 28.25 but injury in the following round put paid to his chances. The opening heat of round 2 went to the Graham Holland trained Sidarian Blitz who had been eye-catching in the previous round and duly confirmed that promise, recording 28.68 in a two length victory. This was the slowest time of the second round heats, testament to the depth of quality in the competition and it was matched in the concluding heat when Declan Byrne`s Bubbly Gold stayed the trip very strongly to pass the pacesetting Jetson on the run to the line for a one and a half length verdict. The first to register back to back wins in the competition was Green Prince who made it a double for Liam Dowling on the night, when again dominant throughout heat 2 in 28.54. The following heat saw the impressive Vans Viking score his sixth career win in as many starts when leading on the inside at the first bend, clocking 28.49 before Sidarian Blitz brought up the double for Graham Holland. Heats 5 & 6 then both went to the Paul Hennessy team when firstly Barefoot Agent got up to deny Deanridge Pennys off the final turn for a three quarter length victory in 28.47 before the powerful Jaytee Seville again looked imperious when flying on the back-straight for a two and a half length verdict over Jacks Ace also in 28.47. 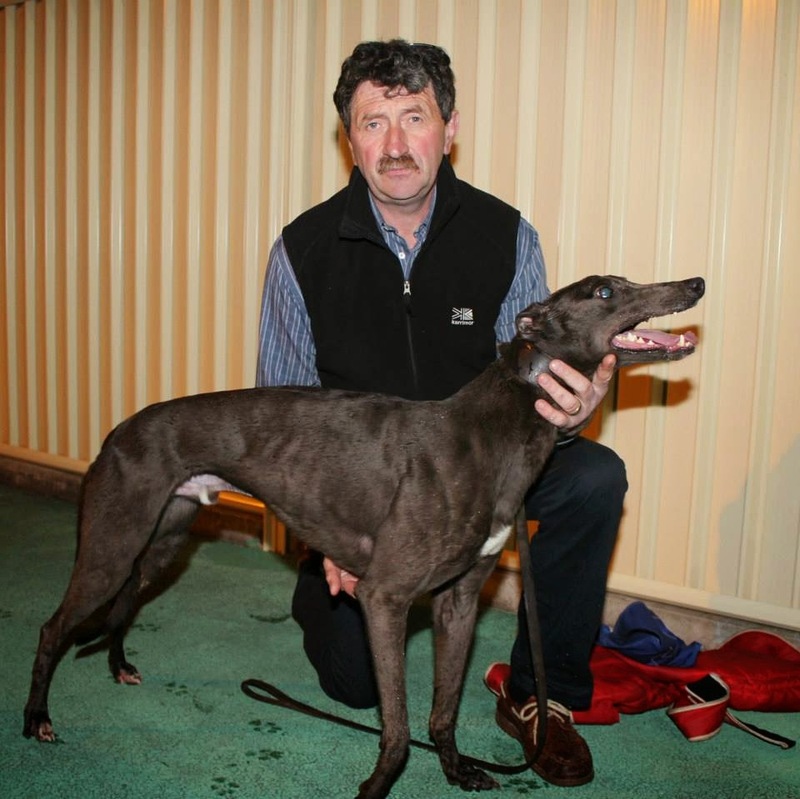 Also remaining unbeaten at this stage was Emers Superstar for Gerry Holian when he appreciated his trap 1 berth for a dominant early paced success in heat 4, clocking a slick 28.33. He was adding to a game opening round heat win when having to come from behind in 28.85. Opening the action in the quarter-finals was Peter Cronin`s Crokers Champ when he again displayed a slick breaking ability coupled with smart early pace to lead up from Vans Viking. Hard pressed for most of the journey, a game Crokers Champ stuck to his task off the final turn repelling a strong finish by Jacks Ace with a half-length to spare in 28.40, relegating the previously unbeaten Vans Viking into third. A treacherous looking heat 2 proved to be just that for some of the competitions leading hopes as Noel Hehir`s Ivy Hill Prince took charge in the early exchanges to just show in front of Gerry Holian`s Emers Superstar. The pair had the race between them on the back-straight and it was the latter who got the better of a protracted battle all along the home stretch for a half-length verdict in 28.38. Pennys Deanridge filled the last qualifying place with big fancies Vulturi and Jaytee Seville exiting when denied racing room. Liam Dowling guided the first two home in heat 3 as Green Prince and Adoremus dominated in the early strides with the former showing the best early pace to turn first before galloping impressively in 28.41 with a three and a half length winning margin. Adoremus stayed well to regain second place from Inslips Dino who found a career best run when tracking the winner on the back-straight. Jetson just made the turn in front in heat 4 with Jackal Frampton doing best of those on the outside to track the leader into the back-straight. A moderate start from Boylesports Hero in trap 5 led to an early bump but what followed was an awe inspiring display of raw speed from the Brendan Matthews tracker as he overturned a four length deficit even before reaching the closing bends. He gamely fended off a renewed effort by Jackal Frampton on the run to the line by three quarters of a length in 28.43 with Bubbly Gold just getting up to deny Jetson in a photo-finish for the last semi-final place. Early pace dominated the opening semi-final where Peter Cronin`s Crokers Champ blasted from trap 4 and put daylight between himself and the previously unbeaten Green Prince approaching the first turn. The latter shut the door on trap 1 runner Ivy Hill Prince at this point but Noel Hehir`s charge crucially held the inside pitch to enter the back-straight in third place as all those behind the leaders suffered crowding. Up front Liam Dowling`s Green Prince laid down a big challenge for the lead when ranging alongside the pacesetter on the inside at the third bend but displaying a willing determination, Crokers Champ was not for passing and despite taking the wider line began to assert again off the final bend and was full value for his one length victory in 28.61. Under pressure for the last qualifying spot at the top of the back-straight, progression for Ivy Hill Prince was assured with a three and a half length third when Jackal Frampton seemed to lose his footing at a crucial stage. It appeared as though Graham Holland`s Vans Viking would return to winning ways in the second semi-final when he led at the first turn following a smart break from trap 4 to lead Bolyesports Hero by just over a length. The latter was again far from foot perfect at trap rise but afforded racing room in the early exchanges he showed exceptional pace to track the leader into the back-straight. A most entertaining buckle from this point saw the Matthew`s powerhouse range up on the outside of the Viking at the third bend before eventually getting the better of a protracted tussle when cornering faster despite being on the wider line. He clocked a magical 28.35 with one and a half lengths to spare and there was a further three lengths back to Pennys Deanridge who found a career best to grab the last final place when using his track craft to emerge in third from the early collision that put paid to the previously unbeaten Emers Superstar.